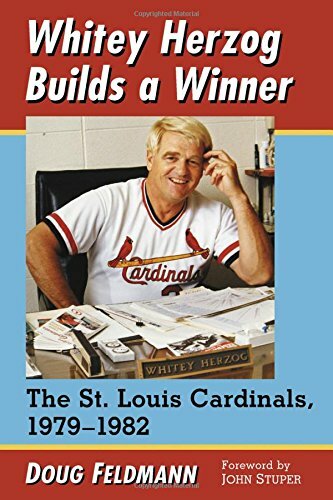 Meet the Author: Doug Feldmann, " Whitey Herzog Builds a Winner"
As Lou Brock was chasing 3000 career hits late in the 1979 season—his last after 18 years in the majors—the St. Louis Cardinals were looking for a new identity. Brock’s departure represented the final link to the team’s glory years of the 1960s, and a parade of new players now came in from the minor leagues. With the Cardinals mired in last place by the following June, owner August A. Busch, Jr., hired Whitey Herzog as field manager, and shortly handed him the general manager’s position, too. Herzog was given free rein to rebuild the club in order to embrace the new running game trend in the majors. With an aggressive style of play and an unconventional approach to personnel moves, he catapulted the Cardinals back into prominence and defined a new age of baseball in St. Louis.